Considering the limit to the size and the length of the FaceBook video and FaceBook supported video formats, when you want to upload personal video to FaceBook for sharing, you often need a FaceBooK Video Converter to convert video format, trim video length, adjust video aspect ratio, etc. On the other hand, sometimes, when you download a video from FaceBook and want to load it to smartphone for viewing, you often meet video playback issue due to the incompatible format. A FaceBook video converter also can help you solve this. Now, we know a FaceBook video converter is necessary. So which is the best FaceBook video converter? 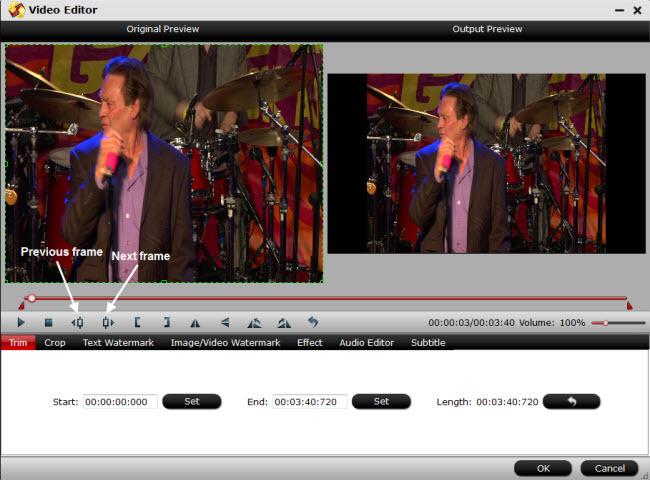 If you have ever tried Pavtube Video Converter Ultimate (Mac version), the question will be easy to answer. As one of the most professional video converter, Pavtube Video Converter Ultimate can convert any video to FaceBook with right video format output and suitable video size and length. You can learn the detailed reasons that we choose this software to convert video from/to FaceBook below. Pavtube Video Converter Ultimate is also a Blu-ray Ripper and DVD Ripper, therefore, you not only can convert MP4, AVI, MOV, WMV, TS, MTS, ISO, VOB, SWF, Tivo, MPEG, H.265/HEVC to FaceBook but also can rip Blu-ray and DVD to FaceBook supported video formats. 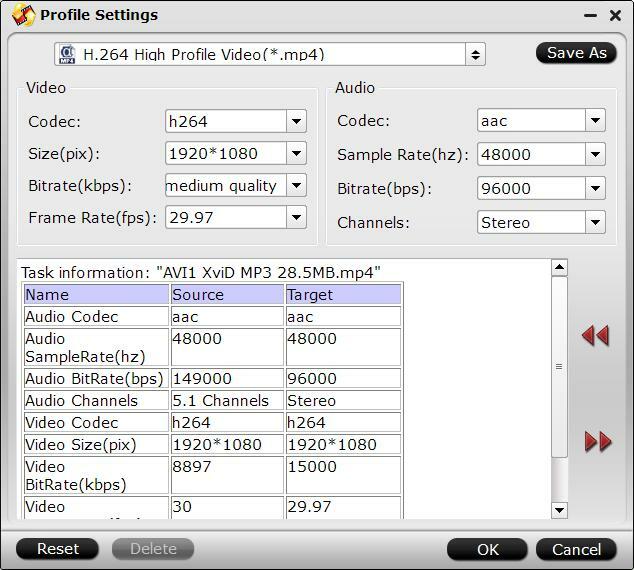 Pavtube Video Converter Ultimate supports to remove DVD encryption including CSS, region code, RCE, Sony ArccOS, UOPs, Disney x-project DRM, etc and bypass Blu-ray AACS, BD+, Region Codes, MKB v61, MKB v62.2. It even can compress 4K Blu-ray to HD MP4, FLV, MOV video for uploading to FaceBook. Pavtube Video Converter Ultimate can convert video and audio to any FaceBook supported formats: 3gp, asf, avi, divx, f4v, flv, m2ts, m4v, mkv, mov, mp4, mpeg, mpeg4, mts, wmv, vob. Pavtube Video Converter Ultimate can FaceBook video to H.264, MP4, MOV, MKV, VOB, WMV, MPG, Tivo, AVI, Divx, M4V, QT, FLV, F4V, ASF, 3GP, TS, TS, M2TS, TP, TRP, MOV, MOD, TOD, MXF(partial), DV, M2V, 3G2, RM, RMVB, DAT, NUT, NSV, etc. It can upscale FaceBook video to 4K resolution and compress FaceBook 4K video to 1080p/720p video. It even can extract AAC, MKA, WMA, MP3 audio from FaceBook video. What's more, Pavtube app can convert FaceBook video to 3D SBS video for VR Headsets. 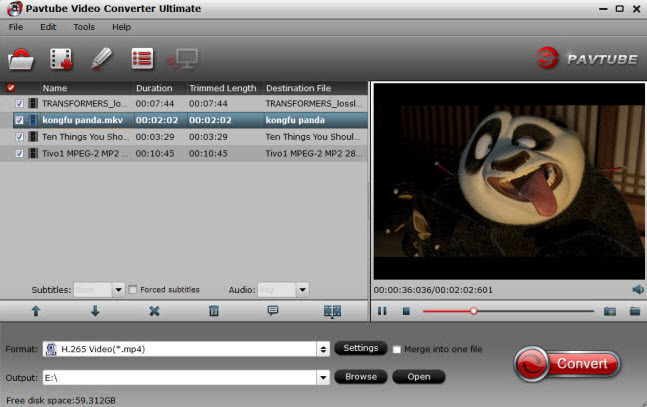 Pavtube Video Converter Ultimate is also a video editing tool. With it, you can trim video footage, crop unwanted area, split a whole video to several files, merge video clips to a single one, add watermark to video, add subtitles to video, adjust video aspect ratio, adjust video and audio bitrate, size, frame rate, sample rate, etc. Pavtube Video Converter Ultimate is fully compatible with Windows 2003/XP/Vista/Windows 7/Windows 8/Windows 8.1/Windows 10	while the Mac version supports Mac OS X 10.12 macOS Sierra, Mac OS X 10.11 El Capitan, Mac OS X 10.10 Yosemite, 10.9 Mavericks, 10.8 Mountain Lion, 10.7 Lion, 10.6 Snow Leopard, 10.5 Leopard. Click File, choose the Load from Disc option to load Blu-ray and DVD videos, and select "Add Video" button to import to convert for posting to your Facebook timeline. If you need to convert FaceBook video files, just download them to PC and then load to the app. 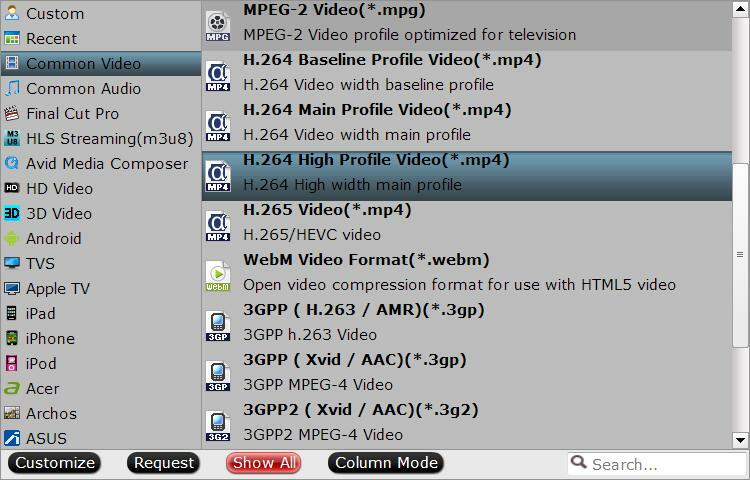 Click "Format" bar, from its drop-down options, choose FaceBook best compatible uploading format "H.264 HD Video(*.mp4)" under "HD Video" main category. If you are converting FaceBook video to other format, just choose the one you need. 1. Click "Hit "Settings" to open the "Profile Settings" window, here you can adjust the output video codec, resolution, bit rate, frame rate and audio codec, bit rate, sample rate and channels to let them fit them FaceBook. 2. Click "Edit" to open a new window, you can trim video length in the "Video Editor" window by setting the start time and ending time to cut out unwanted clips from the video. Now, press on "Convert" in the main interface to start to convert video to FaceBook or convert FaceBook video to other video formats. 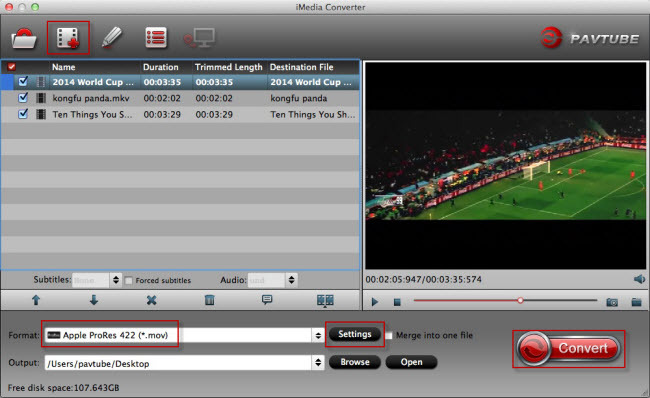 When the conversion ends, you can locate the generated video files by opening output folder. Does this FaceBook Video Converter attract you? If so, just give it a try!